Are you worried about feeling tickle when looking to the sunlight? And mystified why does the sun make me sneeze when looking in bright light? 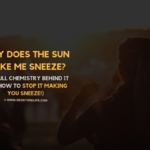 How to stop the sun to make you sneeze? 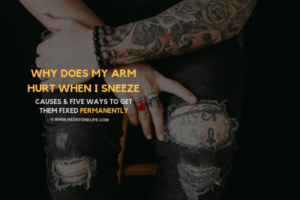 Why Does My Arm Hurt When I Sneeze and how to fix them? 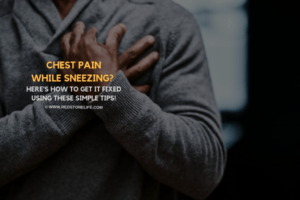 How to Fix Chest Pain While Sneezing? The condition when you sneeze after the exposure of sunlight is known as the photic sneeze reflex short formed (PSR) also called as a funny abbreviation ACHOO (autosomal dominant compulsive helio-ophthalmic outbursts of sneezing). And yes, it is similar to the sound we make after a sneeze. 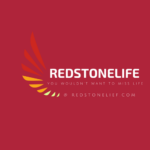 For your information, about 18 to 35 percent of the world population is likely to be suffering from PSR. The answer to why looking at the bright sunlight causes to sneeze is not researched thoroughly. However, we have two interesting scientific types of research and hypothesis that are considered to be the cause of this mystery. In the Pupillary light reflex, the bright sunlight entering your eyes sends signals along with the optic nerve to the brain which sends the message back to the eyes to constrict the pupils. In case you don’t know, optic nerve transmits impulses to the brain from the retina at the back of the eye! In simple words, it senses the vision. 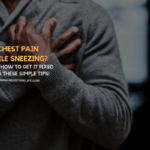 In Sneeze reflex, the trigeminal nerve notices a tickling in the nose and alerts the brain which in result stimulates the mouth, chest, nose and other muscles which are responsible for the sneezing process. Everything in simple words: exposure of sunlight sends a signal to the brain to constrict the pupils, and in the result of this, you get one or multiple sneezes. 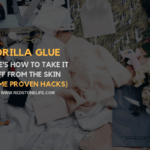 One explanation states that we get the urge to sneeze when the trigeminal nerve senses some irritation, i.e., from dust, tickling of hair, a touch of any sharp tool or even bright light. Since this nerve rests close to the optic nerve, when optic nerve senses a sudden change from low/dim light to a bright, it responds by constricting the eye’s pupils. 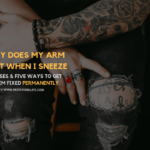 For the sufferers of Photic sneeze reflex(PSR), it is said that this signal gets misunderstood by their trigeminal nerve, resulting in a sneeze. A light-sensitive person tends to suffer more in this problem. All because, in the condition of light sensitivity or photophobia, even a bulb light is felt discomfort that the person can’t bear it for a while. So, when the victim looks at the sun, he/she gets a sneeze with the exposure of sunlight in the condition of light sensitivity. 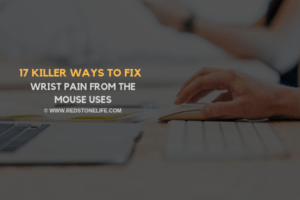 To this end, if your eyes feel significant pressure or discomfort from the artificial or the natural light, you are likely a victim of this problem. 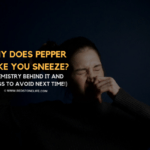 Typically, sneezing occurs when an irritant enters through our nose. 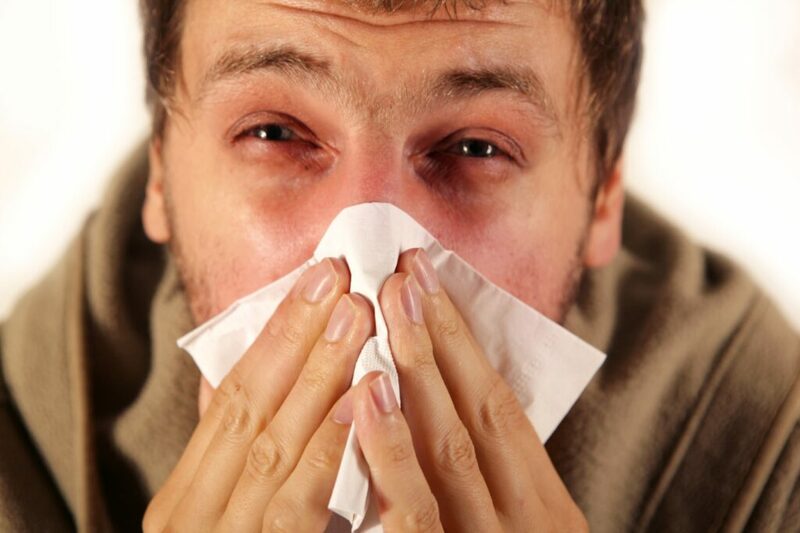 Dust particles, stuff in the nose or anything that feels irritated to your nose can induce a sneeze. Similar to this, the harsh, bright sunlight coming directly to your eyes can also be felt irritated. Due to this unwell sensation, the body needs to throw out a sneeze to get rid of the irritation. If you are worried of sneezing while driving at the day time or can’t play a sport due to the sneeze caused by the exposure of sunlight, we have got some of the possible ways that can be used to get rid of this problem. 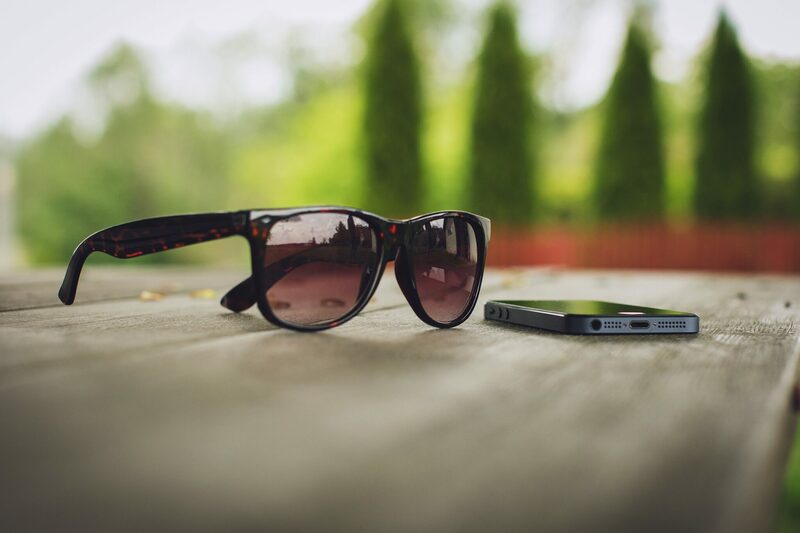 Sunglasses could be a smart choice to prevent the bright light causing you the sneeze. Get one, which mainly works against the UV and other extreme lights. Never leave your home without them especially on sunny days. Keep them with you as a must-have item for every day. Continuous usage of smartphones and televisions can suffer you in light-sensitivity which can make you irritated to the bright light. Don’t forget that the long hours of glare at such electronic devices also expose harmful light from their display. More specifically, blue light negatively affects eye health and can result in macular degeneration. The simple solution of all would be to reduce the screen time. Avoid using devices in the dark; more importantly, take a break after every 20 minutes and look 20 meters away for 20 seconds. 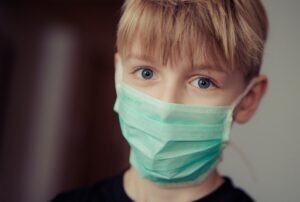 To prevent sneezes from other sources, cover your mouth thoroughly with a mask to avoid the dust and other pollutants entering your nose. 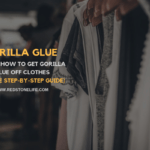 Not only will it assist in preventing sun exposure which is making you sneeze, but it will indirectly help in preventing more frequent sneezes. The sunlight makes you sneeze when you expose to it, but the fact is that being away from it wouldn’t be the right choice. Being a source of energy, and benevolent to other living things, you should spend a reasonable time with it. Studying, working and doing other stuff in the light of sun give many benefits to our eye and other health. 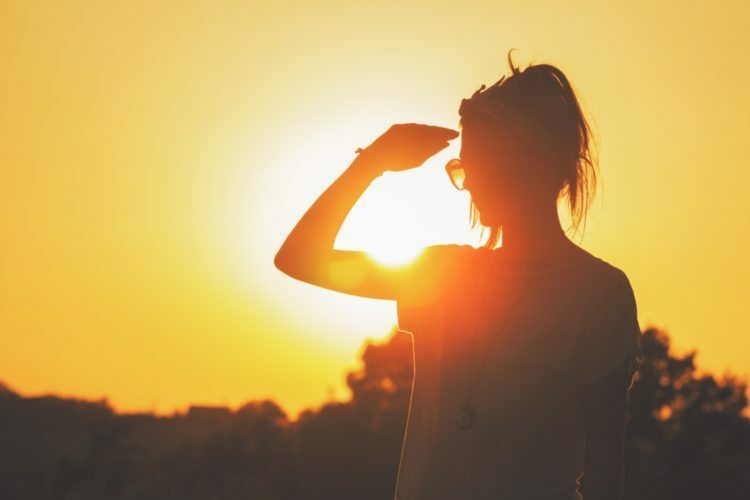 Depending on the artificial light system and spending most of the time in the dark can make you an allergic to the sunlight. Spend free hours in the sunshine, read books in the light coming from your window, have an evening walk or do any physical activity in the natural light. The morning and evening time would be best for enjoying the sunlight without side-effects. Note: Do not go in the extreme sunlight without wearing sunglasses. The consecutive and long term sneezes from the sun is perhaps hiding something wrong in your vision. 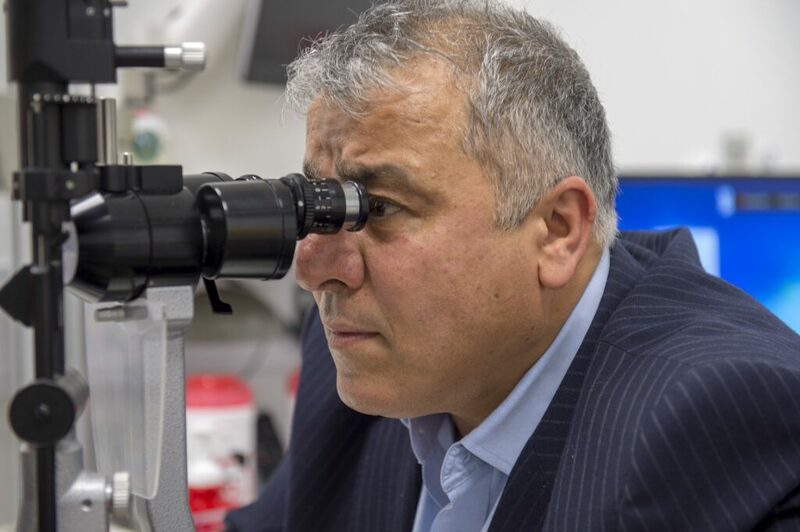 After a complete checkup by the specialist, you can clarify the exact problem happening in your eyes. SO go and consult with an ophthalmologist, discuss them the duration of your problem plus other issues you feel related to the problem. 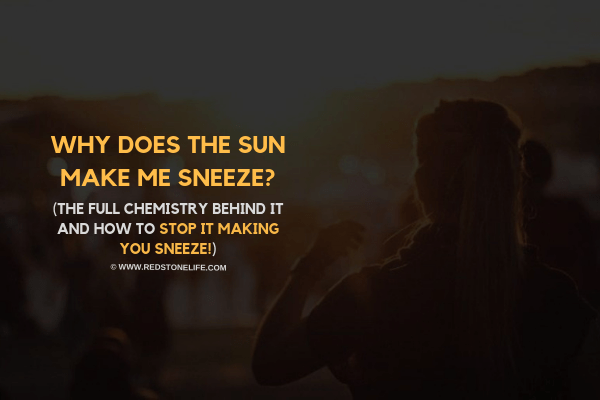 To this end, these were the possible reasons regarding how the bright sunlight is responsible for making you sneeze. Moreover, hopefully, you have learned how to free yourself from this problem in different ways. Try to fix your habits like some of explained above which are the possible cause of why you are sensitive to sunlight. Nonetheless, if you have got any other tip(s) in mind, please let us know by commenting below or by contacting us here.